Telecoms provider TalkTalk has been fined £750,000 for making an excessive number of abandoned and silent calls. The calls were made by two call centres to potential TalkTalk customers in 2011. 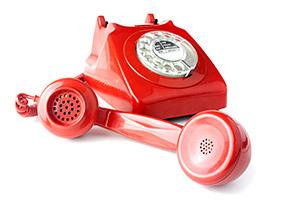 Telecoms regulator Ofcom has clear guidelines on silent and abandoned calls, whereby the abandoned call rate should be no more than 3% of live calls over a 24-hour period. Ofcom found that during one of its telemarketing campaigns, TalkTalk exceeded this limit by a substantial amount on four separate occasions between 1 February and 21 March 2011. TalkTalk also failed to ensure that information messages were played, meaning that consumers received silent calls. As a result, TalkTalk made approximately 9,000 silent and abandoned calls to consumers. Last month Which? launched a new campaign, Calling Time on Nuisance Calls and Texts, after finding that in the last three months seven in ten people received unsolicited calls and four in ten an unwanted text. A company can make ‘silent’ calls, or abandon calls that are picked up by the receiver, using ‘diallers’ and answer machine detection (AMD) technology. Numbers are dialled automatically and only connect the caller when the phone’s picked up. If an answerphone is detected, the call is disconnected so the agent doesn’t need to waste time finding out somebody isn’t home. The fine is part of a crackdown on silent and abandoned calls by the regulator. Last year, energy firm Npower was fined £60,000 and home insurance and repairs company HomeServe was fined £750,000 and paid £10 compensation to those whom it had targeted.